I don't know about any of you, but I just absolutely love owls. I think they are so cute and fun to watch! 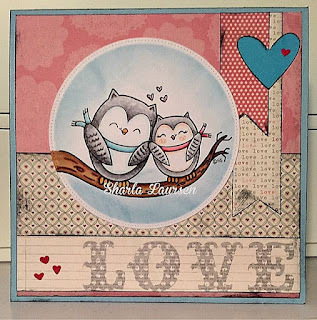 I love this little digi stamp from 2 Cute Ink called Love Birds, this image comes with the club membership with some other fun images for a very reasonable price. You can check out the details on the link above. So...I created a fun lovey card to use for an anniversary or Valentines Day or even a congrats on engagement/wedding! Awe ... what a sweet image and your coloring is fabulous! LOVE your design too! Thanks so much for joining us at The Sisterhood’s ‘LOVE Letters’ challenge and please come back again soon! So cute birdies! Love their faces. Beautiful card. 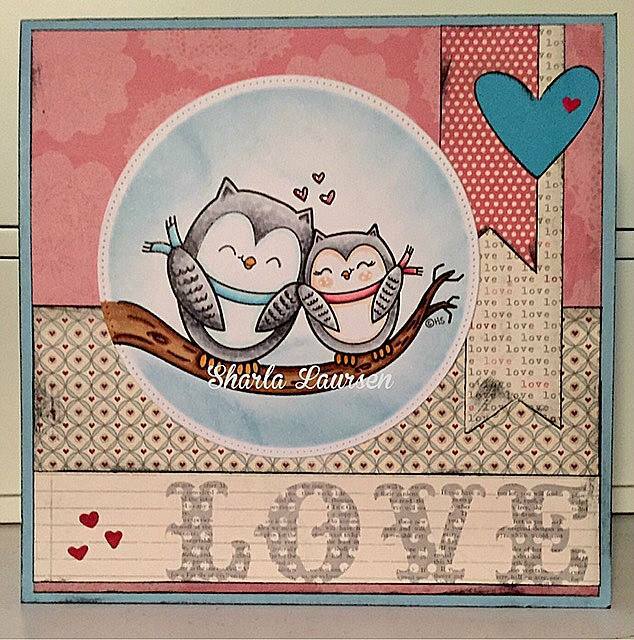 Thanks for playing along Simon Says Stamp Anything Goes Wednesday Challenge! How utterly adorable is this! Love it!